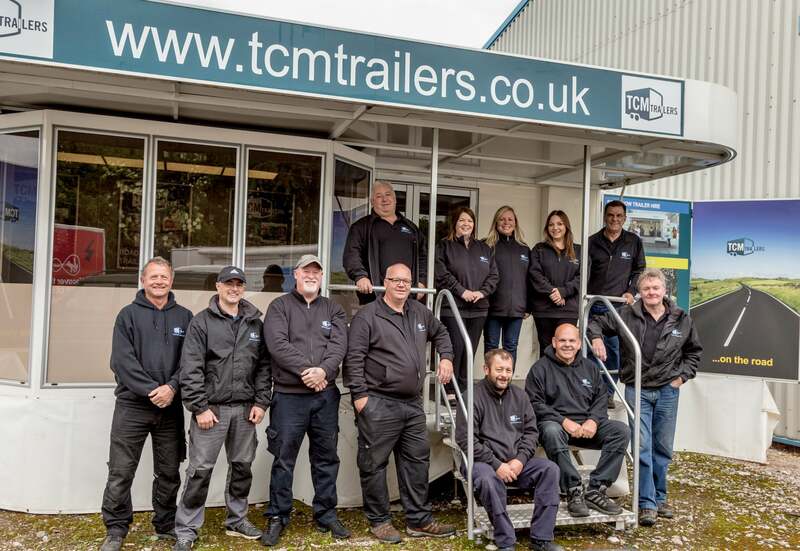 TCM Trailers is still a family business – we were established by Martin and Lindsey Parnham in 2003, and initially were targeted at meeting the needs of companies who needed to have a high street presence without high street rents. Building on our experience in town centre management, we quickly developed long-term relationships with a number of major household names, working initially with Sky, ntl, Bulldog Broadband and other telecommunications companies who needed to promote their brand in high footfall areas. EDF Energy and e.on followed, as energy companies started to realise the potential of engaging directly with potential customers and linking in to national promotions. We now specialise in small to medium sized trailers for customer acquisition campaigns and are market leaders in high street promotions, placing our clients directly in the path of their potential customers in over 300 locations across Great Britain. 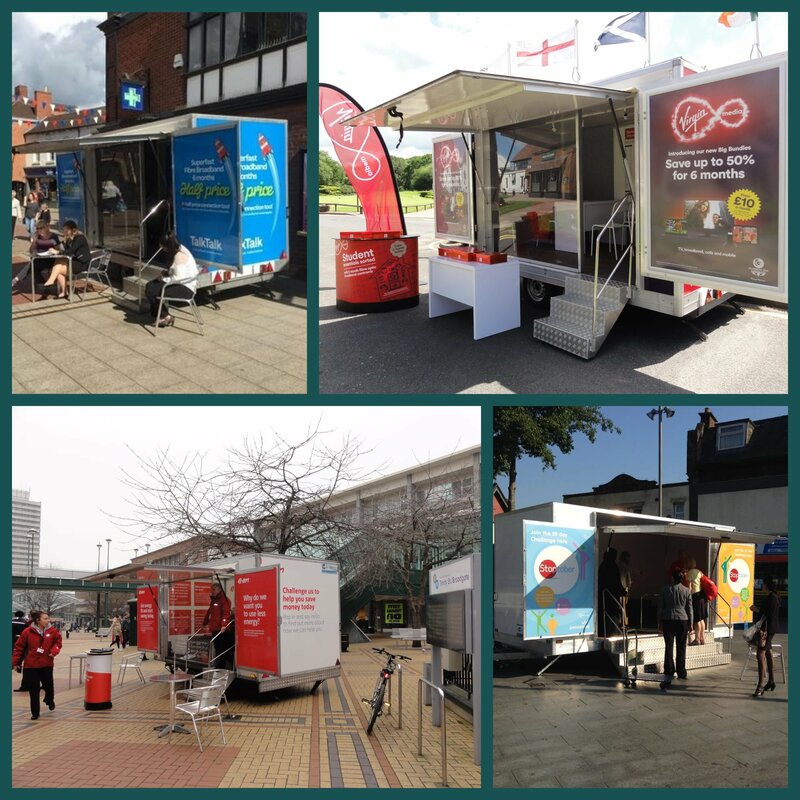 We currently run high street campaigns for Virgin Media, Talk Talk, NDCS and Vanquis – promoting at over forty high street locations per week, 52 weeks a year. Our knowledge of high streets across the UK gives means we are uniquely positioned to advise on high street sites and offer an unrivalled knowledge of town centre locations. To find out more, go to the High Street trailer page or call Emily on 01543 546474. 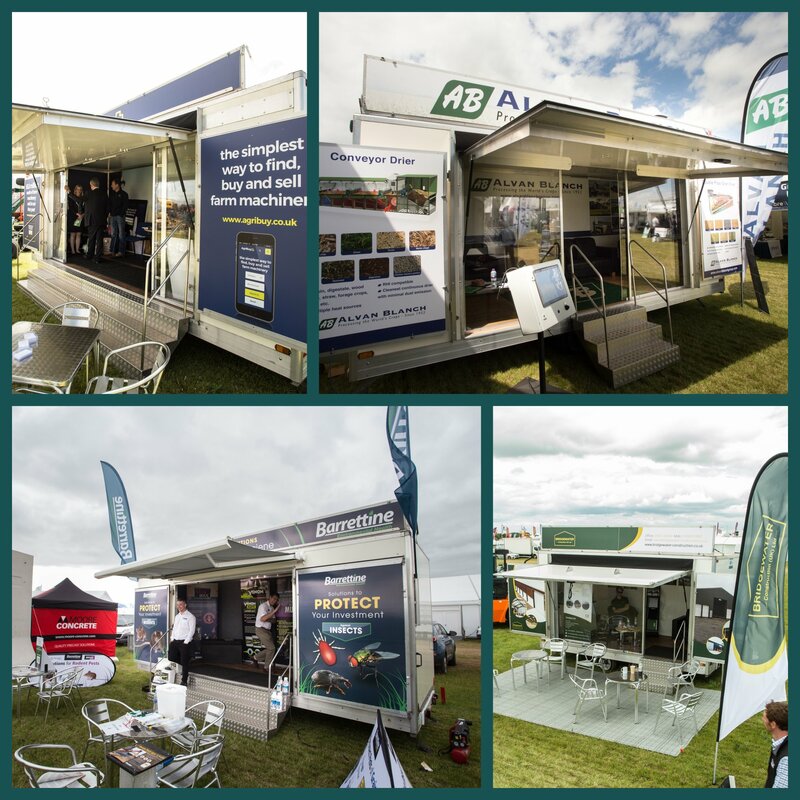 In response to customer demand we also provide exhibition and hospitality units for hire at showgrounds and events, providing cost-effective trailers for clients who promote at agricultural, trade and county shows – and at prices much lower than our competitors. 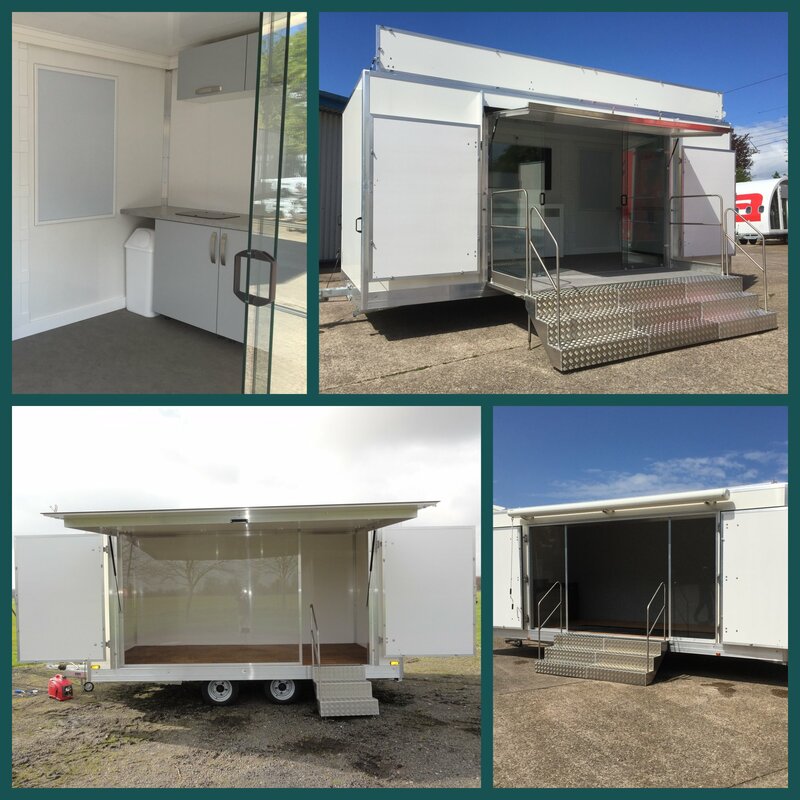 We offer free furniture hire as part of our exhibition trailer hire packages, many trailers are fitted with kitchens, and if you need protection from the British weather we offer options with Perspex screens or doors across the front opening. To find out more, go to the Showground and Event Trailer Hire page or call the office on 01543 546474 to check prices and availability. 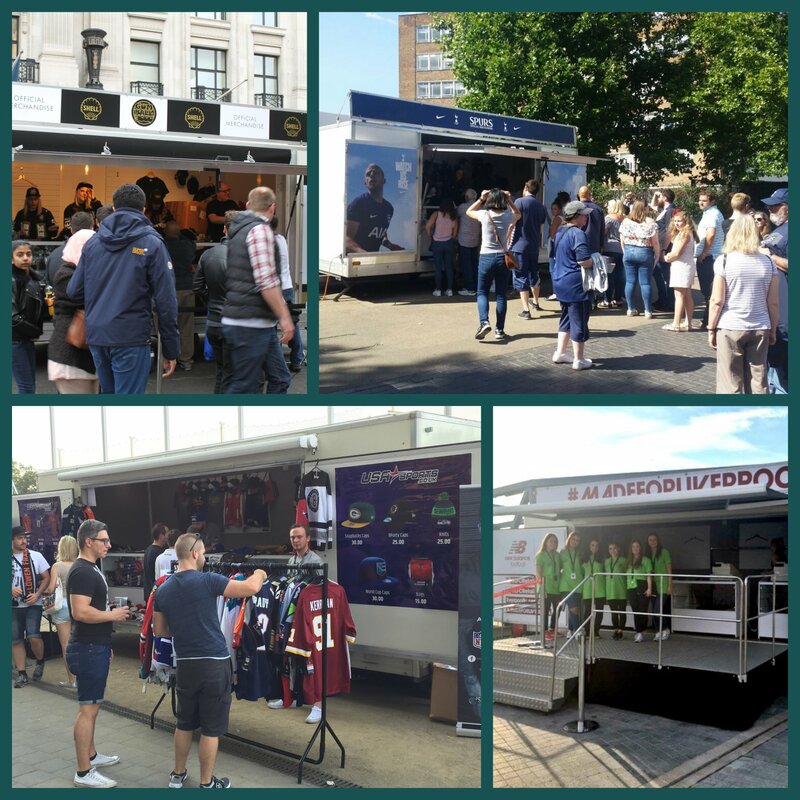 We then developed a range of merchandising/retail trailers with counters, slatwall and have attended some of the biggest UK sporting events including the Rugby World Cup 2015, Wembley and Principality Stadiums, Premiership Rugby, the Rugby League Grand Final, The Open Golf Championship and the NFL events at Wembley. 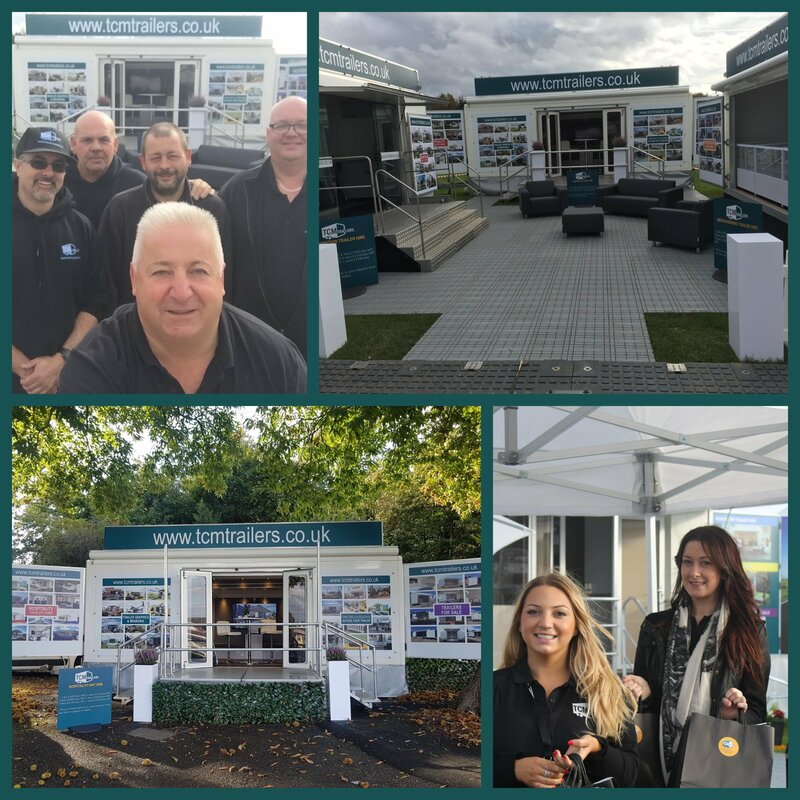 To find out more about retail trailers from TCM to maximise merchandising opportunities at shows and events, call Emily on 01543 546474 or go to the Merchandising Trailer hire page. Because we couldn’t buy trailers which met the quality and durability standards our hire fleet requires, we started to build our own, and now offer exhibition and merchandising trailers built from scratch to your specification in around 10-12 weeks. Our trailers come in a range of sizes from 3m to 6.5m in length and a variety of designs, so there is something for everyone. Find out more on the Trailer Sales page or call Lindsey on 01543 546474. Our company ethos is based on reliability, flexibility and cost-effectiveness. We are open about our prices, which are visible to all on our website, and we love to exceed expectations. 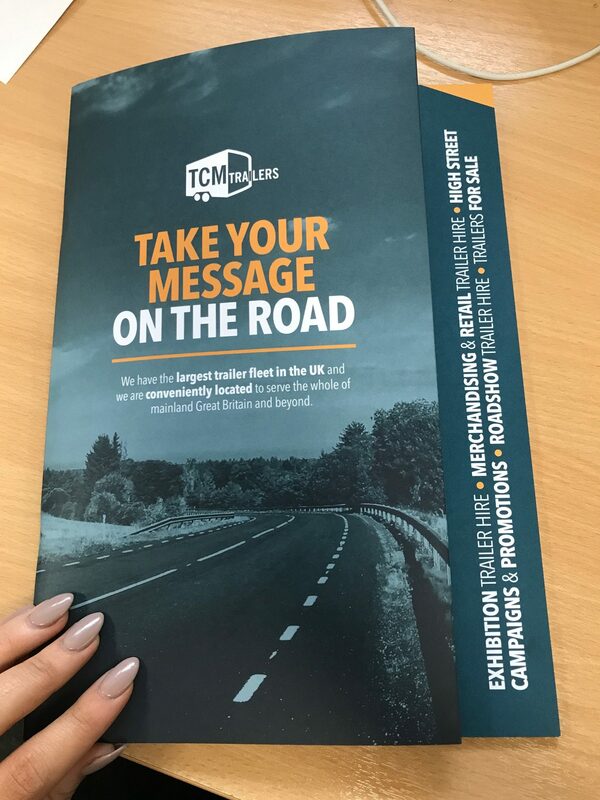 We are a small team delivering to some big names – so if you want to hear more about the services we offer, call us on 01543 546474 and speak to a member of our friendly office team to see how we can help you take your message on the road. For enquiries regarding trailer or venue bookings, call Anne, Emily or Natasha on 01543 546474. For enquiries regarding trailer sales, call Lindsey on 01543 546474. For technical enquiries regarding trailer or generator operation, call Martin on 07970 729751. To download a copy of our brochure, please click on the link below.